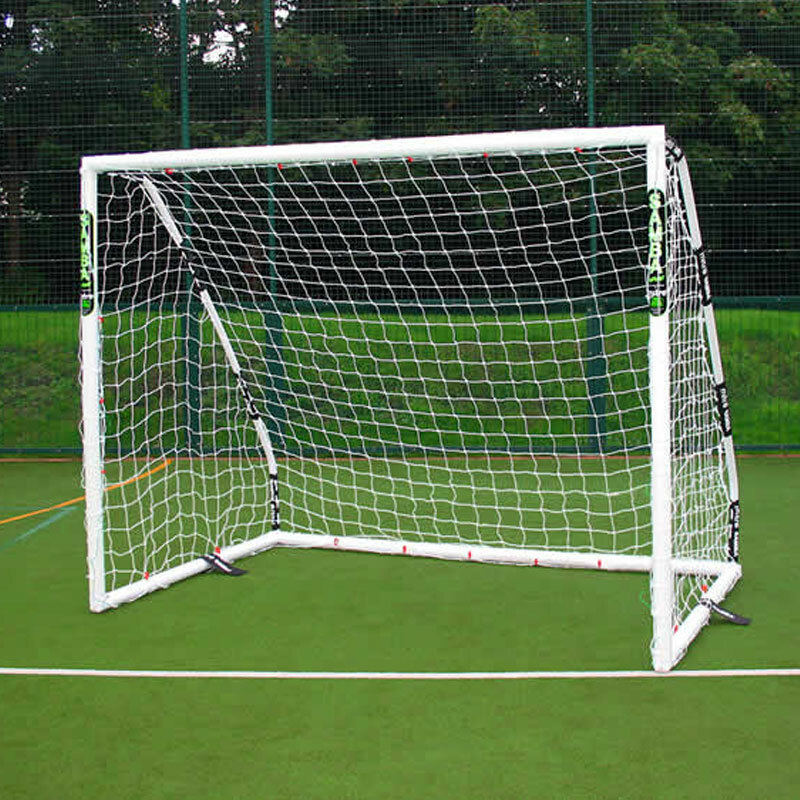 Samba ® PlayFast 8ft x 6ft Match Goal with folding corners. 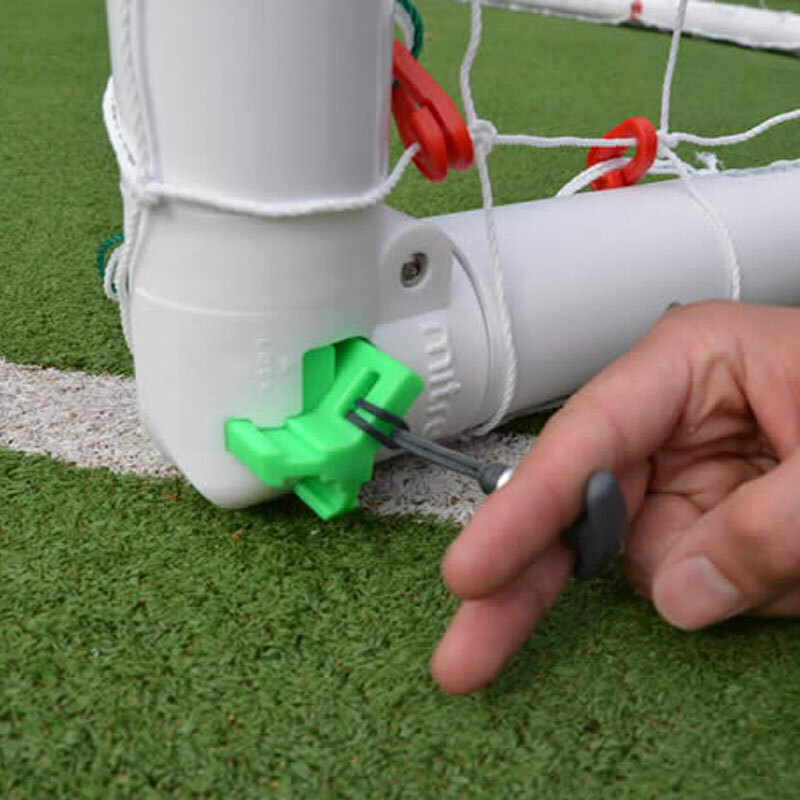 The new PlayFast goal features an innovative fast folding corner joint by Mitre that enables the PlayFast goal to be assembled in less than 60 seconds. 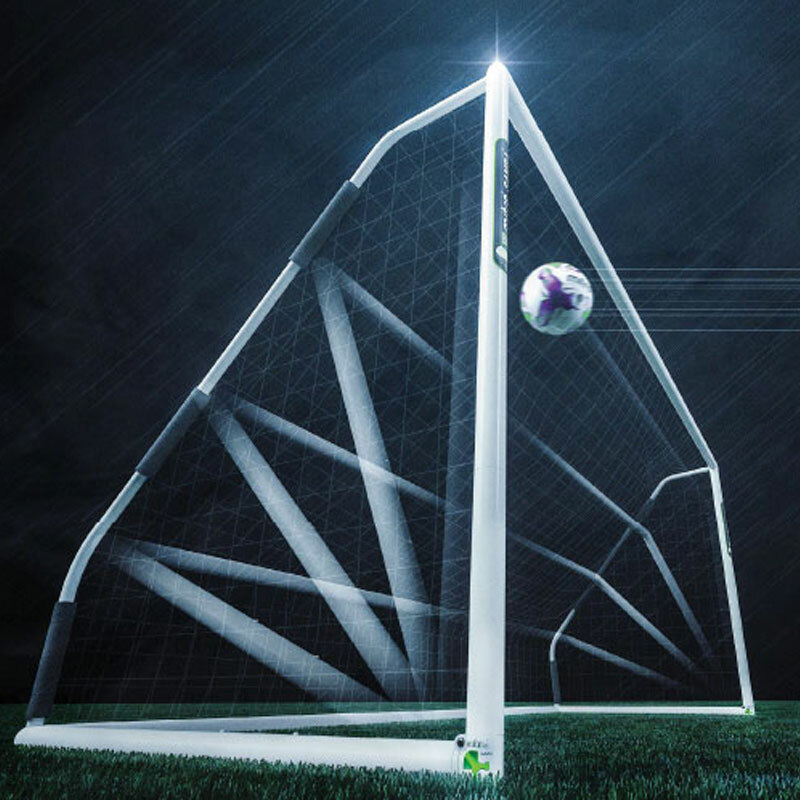 This new product brought together Samba's knowledge of goal manufacturing and Mitre's innovative technology to create the PlayFast goal. The technolgoy enables the goal to be folded away and stored quickly and efficiently, benefiting recreational users at home and grassroots clubs with limited storage facilities. Fully portable - Free standing - Highly flexible - Use on any surface - Virtually maintenance free - Fits in an average sized family car - High impact uPVC - Light and easy to assemble.